Now you can buy MFCoin for Bitcoin, Ethereum, Litecoin, Zcash, Bitcoincash, Blackcoin, Dash, Dogecoin, Emercoin, Peercoin, Primecoin, Reddcoin, Bytecoin. 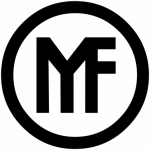 MFCoin. Ugly Black Duckling. First Crypto-Iron in the World. Copyright © 2017-2019 MFC Universe Ltd.